I live a mile off a main highway, tucked in a development surrounded by trees. My backyard is a forest for a good acre or so. My front yard has a miniature forest of its own. The picture above is taken from the bottom of my driveway. More forest, as you can see. You know what you find in nature? Bugs. Lots of bugs. Mosquitoes in particular seem to love my house. I don’t keep standing water, but for some reason, they just like to hang out near my back deck. It’s a fact of life when you live in nature. The other night, I sat out on the deck for about 15 minutes in shorts and a t-shirt. By the time I stood up, I had six new mosquito bites. One on my foot! I cannot STAND when my feet itch. It drives me nuttier than any other itch. I cannot even begin to describe how bonkers I get when I’m itchy. It keeps me up at night! I honestly would rather have a cut or scrape than a bug bite. Isn’t that crazy? Jacob is just like me too! We were in a store the other week and he couldn’t make it two feet without stopping to scratch a bug bite. I had to go get Cortizone 10 and put it on him before I even paid for it! That was before I received my sample for this post. I keep a stock of it all summer long to help with itching from bug bites, sunburn (no matter how much sunscreen I use, my Irish skin burns like a lobster) and dry summer skin. 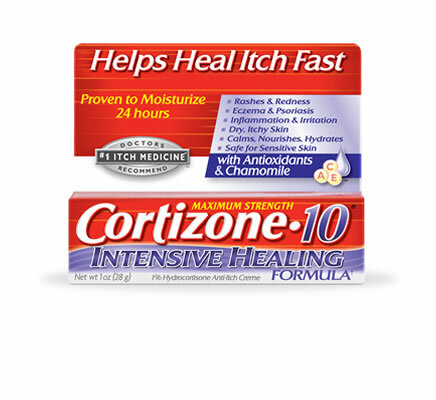 This is the first time I’ve tried Cortizone 10 Intensive Healing Formula. I usually get the regular Anti-Itch formula. I’m definitely switching to this from now on! Both Jake and I have sensitive skin, and this is actually designed to be safe for that. It not only stops my itchiness in its tracks, but keeps the area moisturized for 24 hours. To me, that’s a major benefit because it means I actually have to buy less! It has a super creamy formula that goes on smoothly. Relieves your itch fast while helping the skin tissue heal. Relieves itching associated with minor skin irritations, inflammation and rashes due to: eczema and psoriasis; dry, itchy skin; insect bites and sunburn itch. Summer is all about fun with family. I love spending time on my back deck. I even set up my home office out there under my umbrella on my patio table! It’s kind of hard to enjoy the outdoors with the threat of itchiness in my future, though. Thanks to Cortizone 10, I don’t have to worry about that! Visit the Cortizone 10 website to learn more! What summer plans do you have that you don’t want ruined by itchiness? I hear you about the itchy skin and my feet have been itchy too! I think the heat has something to do with it. But the bugs are fierce outside this year. The bees and some kind of bugs kept trying to bite me last night! Luckily I have not gotten too many mosquito bits. 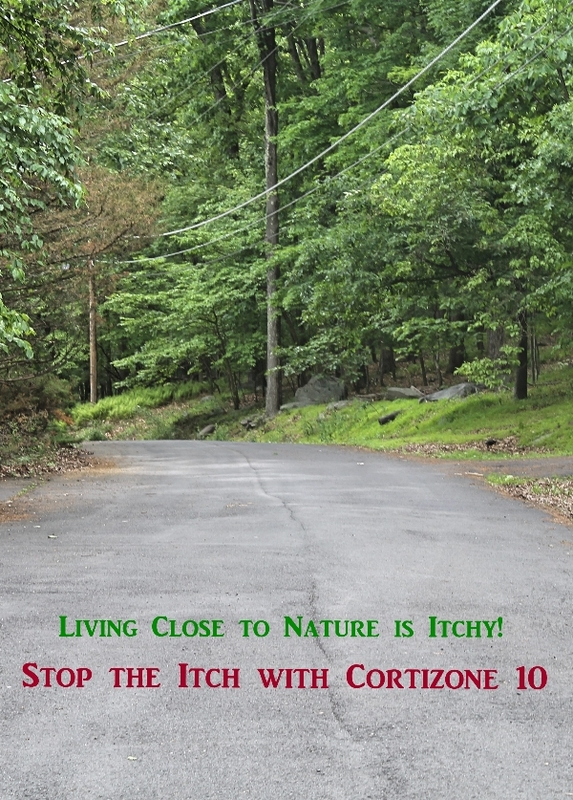 Cortizone 10 works the best for me when I have to deal with itchy skin! Ack, bees! Bees make me run screaming in terror. I hope it didn’t get you!